As a city dweller I don’t venture out to the suburbs too often, but I made a trip out to Skokie to try Hub’s Restaurant and I was not disappointed! Hub’s is family owned & operated Greek restaurant and even has a close knit feel with their customers. They seem to be on a first name basis with many of them giving a vibe a-la Cheers. The menu at Hub’s is pretty extensive with both traditional American options, like ribs, and traditional Greek dishes, like Pastisio – which is prepared from a family recipe. Naturally, I tried just about all of them. My favorite dish by far was the Chicken-Ka-Bob Plate Special. To be honest, I’m not typically a huge chicken fan, but the ka-bobs were chargrilled to perfection and the serving size was LARGE & in-charge. The dish is served with rice, pita, onion, tomato, and a homemade sauce (which was delish!). Honestly, I would go back to Hub’s strictly for the sauce. Aside from the Chicken-Ka-Bob Plate, I also tried a few other Greek dishes. Namely, the Pastisio, Greek Chicken with Potatoes, and of course, a Gyro sandwich. This was my first time trying Pastisio – a dish comprised of layered macaroni and ground beef. There was a hint of sweet flavors in the dish, which was surprising but also welcomed. Hub’s also offers some good ole American style dishes and their surprisingly known for their BBQ ribs – who knew?! The ribs have an option to be served with a baked potato and homemade sour cream like sauce – Hub’s really kills the homemade sauce game. Again, the portions were HUGE, so be sure to come hungry. American Burger topped with Blue Cheese, served with fries. If you know me, then you know that I can’t leave any restaurant without a dessert – and this was no exception. The Lemon Coconut Cake was delectable, creamy, flavorful, and everything I could have hoped for. A dreamy slice of Lemon Coconut Cake. Overall I’d definitely recommend Hub’s and will be back soon for another slab of ribs – no seriously, I will. p.s. – you may already be familiar with Hub’s if you’ve seen the infamous “You like-uh the juice” SNL skit. I had a great time dining at Hub’s for this sponsored post! Loved the SNL sketch too! 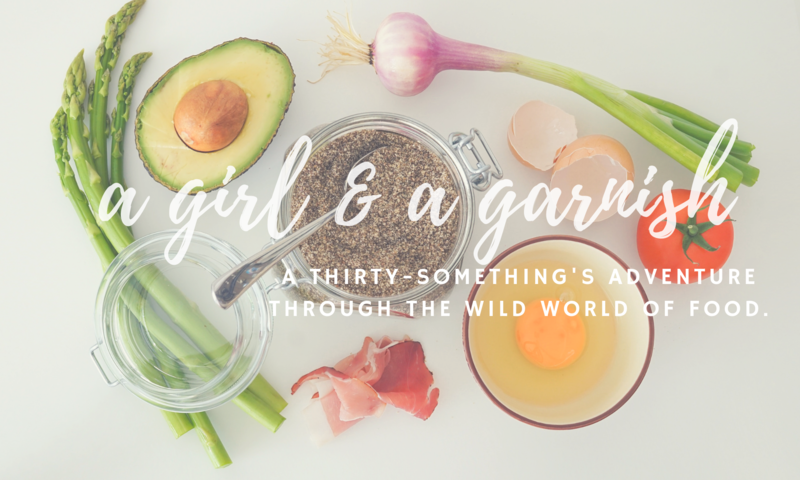 Next PostNext A Girl & A Garnish Turns 3!